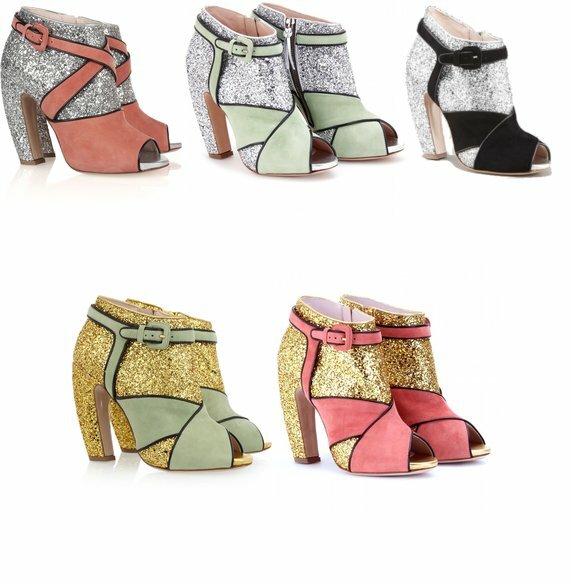 Ever since the Miu Miu A/W show 2011 I have fantasized over every garment in the show, it is most definitely up there in my top ten favourite collections EVER! From the dramatic over-sized collars to the glitter encrusted ankle boots I could sit and watch it all day long. Obviously I'd be crying inside knowing I could probably never afford any of these dresses or even the retro cat eye sunglasses, I would always keep a beady eye out for the glitter boots I was utterly obsessed like a magpie with shiny objects. Here's the show from last year, I'm sure you'll drool all the way through as much as me. After endlessly scrolling through Ebay anticipating copies of the boots I never seemed to come across any that tickled my fancy they were all huge platforms clunky and unattractive to me screaming 'drag queen'. I sort of gave up all ankle boot hope until today! 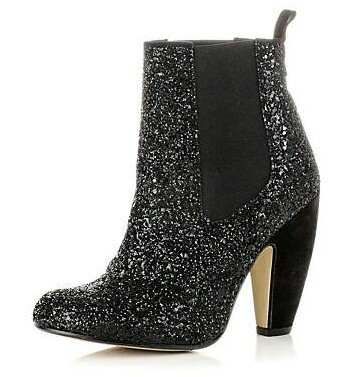 I was just by chance browsing on River Island which I never do and came across some silver glitter ankle boots. 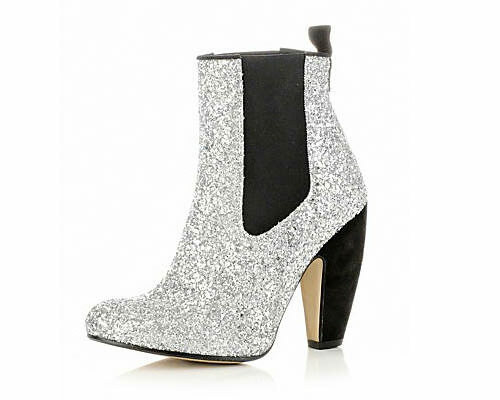 I never really loved 'silver' and I was so annoyed because I thought if only they were in black! And to my surprise the next page there they were just waiting for me, ONE PAIR IN A SIZE 5, DESTINY OR WHAT? The black ones are the one's I ordered! 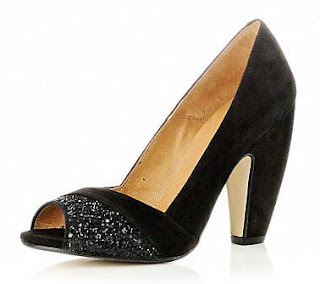 The best bit is they were originally £75 and I got them for £30! I quite like that there more of a Chelsea Boot because there quite in this season and I love wearing boots even in the summer with floaty floral dresses & John Lennon spectacles. 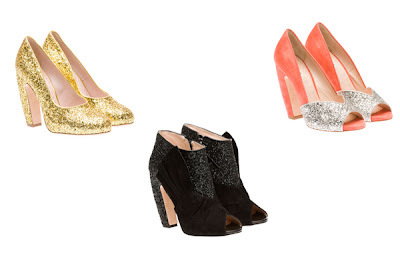 I will blog an outfit post wearing the shoe's as soon as they arrive, I can't wait! I'm a Fashion Communication student with an unhealthy addiction to Ebay and caffine. My hobbies include rummaging through charity shops, street markets & carboot sales in search of all things wonderful and unique.